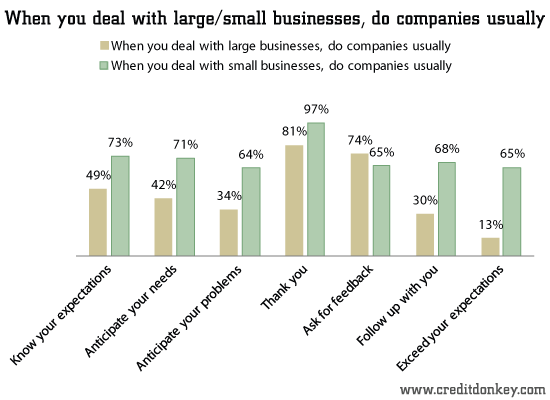 Smaller businesses have a way to set themselves apart from their larger competitors, according to the results of a CreditDonkey.com survey. Big corporate usually fails to meet expectations for 35.9% of over 1,000 respondents to our customer service survey. 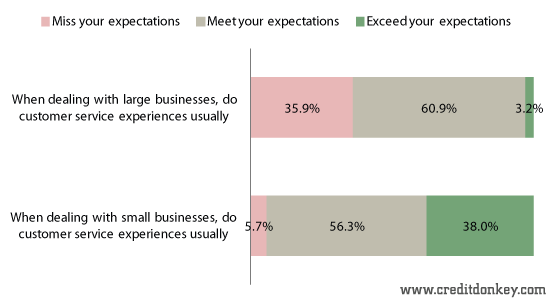 Conversely, when dealing with a small business, just 5.7% of respondents said customer service expectations are usually missed. In fact, 96.9% respondents said small business customer service usually thank them. Big corporate wasn't too far behind on this one: 80.8 % of respondents said larger companies also give them thanks, but the appreciation likely rings false when other aspects of good customer service are missing. 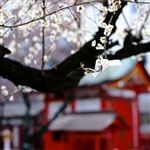 The survey carries a big lesson for little business: Your good customer service is getting noticed. The question is, is that enough? Well, without it, you'd lose customers. Just over 85% of our respondents said they will walk away from a product, service, or company because of a bad customer service experience. According to our research, women are even slightly more prone to taking things personally, and 88.8% would walk away from a purchase, versus 82.9% of men, because of bad customer service. Another way to win over customers: Follow up. While 74.2% of respondents said big corporate asked them for feedback, 69.5% of respondents said they never followed up whereas 65.5% said small businesses asked for feedback and 68% did follow up on customer service issues. While 93% of business owners view customer service as a strategic priority, according to a 2012 Forrester Research report, most of them plan to focus on improving the online customer experience. This is a key way small business owners can differentiate themselves. 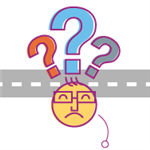 Indeed, the CreditDonkey survey found that 55.5% of customers would choose better customer service over convenience - so they are willing, for example, to find parking in a crowded downtown area in return for good service at a mom-and-pop shop. 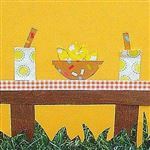 Be attentive: Customers will go back to your store and clients will repeatedly ask for your services if you and your associates act genuinely interested in their challenges and problems - and are truly knowledgeable about what you're selling. Although they have more resources, big box stores have a reputation for using customer-service representatives who are disinterested and not educated about the products they're pushing. Be competitive: Always keep an eye on what your larger competitors are charging. While your business may not be able to match those companies' prices, you risk losing customers if you don't come close. 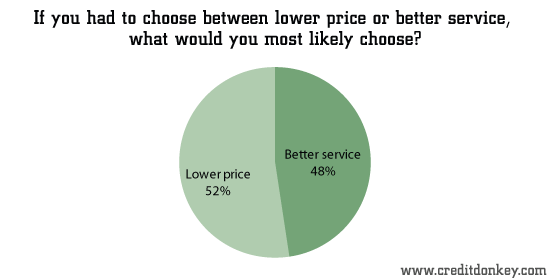 When asked to choose between a lower price and better service, 52.4% of respondents would choose the lower price. Be up-front about your service: Make sure your marketing materials, signs, and social-media posts touch upon the individualized and courteous service your business is able to give customers. They will catch on. Share on Facebook "Survey: Why Customers Love Small Businesses"